Time will tell what impact public comments will have on Forest Service plan to ban mountain biking in certain SCV areas. The latest step in the U.S. Forest Service’s grand plan to turn nearly 1 million acres of forest land into “wilderness” – the most restrictive designation in the national forest system – or “back-country non-motorized” is the public comment period, which ends today. On April 27, the Forest Service announced its intent to comply with a 2011 court settlement to revamp its land management plans in four Southland forests. 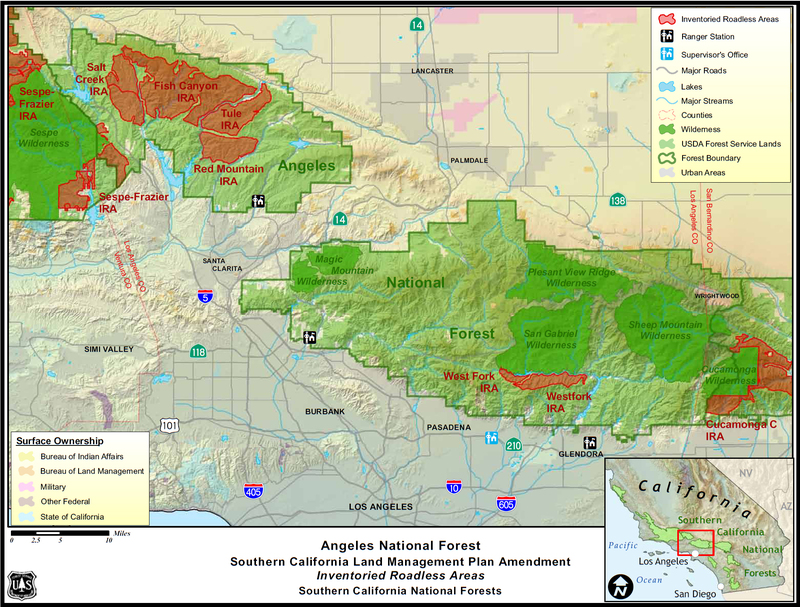 The Angeles National Forest is set to gain about 40,000 acres of recommended wilderness in the Fish Canyon and Salt Creek areas northeast of Castaic Lake. Part of the process involves a 45-day scoping period, within which all interested parties could comment on the plan. The meetings closest to the Santa Clarita Valley’s heart have come and gone, and many SCV residents attended a May 31 meeting in Acton. Some even trekked to the Angeles headquarters at Arcadia the night before, while many more submitted written comments on an online Forest Service bulletin board. Dianne Erskine-Hellrigel, president of the SCV Community Hiking Club, was at the Acton meeting. Apparently the Arcadia meeting was attended by more opponents of the land management proposal, including various off-highway vehicle (OHV) and mountain biking groups and individuals. “Concerns have been raised about the status of several significant nearby trails that bicyclists ride,” according to a post on the website of Concerned Off-Road Bicyclists Association, or COBRA. “We do have concerns about the Fish Canyon Trail and the Burnt Peak Trail. These run generally north-south right in the middle of what would be the new wilderness. We heard from several people that these trails may be overgrown and quite deteriorated. We need to know if riders have ridden them and are currently riding them. CORBA is not the only group rallying its troops. Kevin D. Korenthal, a member of the SCV Trail Users mountain biking group, urged fellow cycling enthusiasts in a recent Facebook post to get in on the action by attending the Forest Service meetings, send in their written comments, and contact their congressional representatives to demand action. More quietly – but just as effectively – local hiking and environmental groups are rallying behind their cause, as well. The Forest Service comment board has a number of pro-wilderness posts showing support for the proposal, as well as concern for the environment and tranquility that they fear would be lost without the amendment to the land management plan. Tom Haile, a longtime Acton resident and outspoken opponent of the Forest Service’s handling of the OHV areas and archaeological sites within the forest boundary, minces no words. Haile has been advocating for more protection of archaeologically and environmentally sensitive areas within the Angeles for decades, and it appears the Forest Service is finally listening. The approach is something Hiking Club president Erskine-Hellrigel cannot fault. She has been working on mapping the Fish Canyon and Salt Creek inventories roadless areas (IRAs), GPS-ing their boundaries and checking for conflicts or inconsistencies within those boundaries. She said roads that go to or through the recommended areas will be cherry-stemmed out, meaning that portion will not be suitable for a wilderness designation. “I am very pleased that they did recommend 14 areas for wilderness,” Erskine-Hellrigel said, “and I would hope to see more in the future. The Forest Service has always been very cooperative with me and showed me nothing but favorable intentions concerning their recommendations. On a broader level, the pros and cons of the proposed amendments are evident in the actions taken by some individuals and groups on behalf of the other three forests. U.S. Rep. Duncan Hunter, R-El Cajon, wrote a scathing letter to Forest Supervisor William Metz on the first day of the scoping process expressing his disapproval of the plans and stating his concern for national security issues in the Cleveland National Forest, should the Forest Service plan sail through Congress. “I have made my position on this issue very clear in the past and will do so again,” Hunter wrote. “Since 1964, over 110 million acres of federal lands in 759 different areas have been designated as wilderness, far beyond original scope or legislative intent. In California alone, there are already 14 million acres of wilderness lands and over 300 roadless areas totaling 7.4 million acres that contain all of the attributes of potential candidates for future wilderness designations. Patty Daniels of Ramona shares Hunter’s concerns. Others advocate for an even greater number of areas to be re-zoned than what the Forest Service had in mind. Condor Peak in the San Gabriel Mountains has been suggested to be added to the proposed wilderness areas, along with the Tule, Red Mountain and Sespe Frazier IRAs, all within the Angeles National Forest. But for Santa Clarita Valley, closest to home are the Fish Canyon and Salt Creek areas where a determined battle is brewing. The OHV folks don’t have much cause for concern because the proposal leaves the current OHV areas intact, and the IRAs within the new plans have already excluded off-roading. Rather, this battle of interests is between the hikers/equestrians and the mountain bikers. Jon Spalding, an SCV resident and hiker/mountain biker, is watching it with a bit of apprehension. “I think giving any sort of single, top-down restriction is going to anger people unnecessarily,” he wrote in an e-mail. 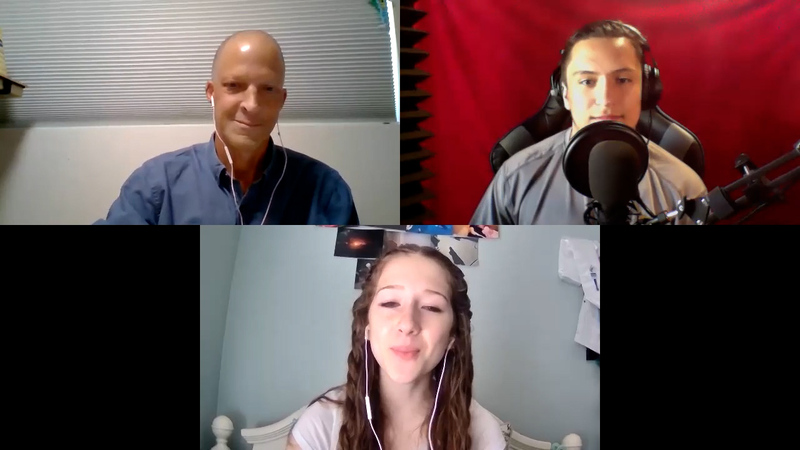 “Different locations have different standards for behavior, and I think having different groups communicate with each other on accepted standards is best. In other words, let the opponents, who are basically on the same page as far as conservation is concerned, talk it out first, and hopefully come to a mutually acceptable agreement that would benefit both groups – and the “horse people,” as well. “Regarding the aesthetics of biking/hiking (and horseback riding),” Spalding continued, “horses are annoying to everybody, due to their droppings and general trail wear, plus they always get the right-of-way.” (They are big and somewhat faster than hikers). “Mountain bikers are a bit obnoxious for hikers, since they bring an element of technology to the ‘pure’ nature experience,” he writes. “Hikers might represent an annoying obstacle for bikers, since part of the fun of biking is in going as fast as possible, especially downhill. For many residents who settled in Santa Clarita, one of the deciding factors for their relocation was the abundance of outdoor recreational opportunities right on the city’s doorstep. Many would say the landscape surrounding their little patch of heaven was adequate for their needs. For the select few who enjoy their recreation of choice – be it hiking, boating, off-roading, nature walks or mountain biking – to be more exlcusive, the proposed Forest Service amendment is certainly something to worry about. Spalding, his fellow off-road cyclist, tends to agree. But Spalding has had the other shoe on before. Erskine-Hellrigel of the Hiking Club said there is a definite difference to the two designations – wilderness and back country non-motorized, or BCNM . Tony Arnold, a director of SCV Trail Users, concurs. Erskine-Hellrigel has a a different slant on the issue. While issues of flora and fauna are important to the mountain biking community, their primary focus is not on the environmental aspect – which they do take into consideration – but rather on the sharing issue. Spalding is concerned about the lack of clear trail markings. Spalding believes many of Santa Clarita’s back-country trails could be saved – or re-designated – simply by having the local interest groups talk to each other. He hopes to establish a dialogue. The comment period is over, but it will be many months before the Forest Service defines the actual boundaries and produces the final maps. And then Congress must weigh in. “If the areas are suitable for wilderness,” Erskine-Hellrigel said, “we can eventually proceed to legislation, and with the best of luck, we will have a perfect proposal and the bill will be passed. “I have always been a wilderness proponent,” Erskine-Hellrigel said. “I feel it is important to preserve land for our progeny. What if we built on every piece of land, or allowed it to be torn up by careless people zipping up and down hills dotted with endangered species, or put roads all over the place? The SCV Trail Users and other parties that enjoy mountain biking in our beloved back-country believe it is hypocritical of any user group (of the 3 under consideration here) to demand that another user group should not be allowed to use a trail system. From a personal standpoint I find the argument that these wilderness areas will provide a safe haven for illegal aliens and drug running operations as important a reason as the discrimination factor for keeping our trails accessible. There is no reason that all three user groups cannot work together with the Federal Government to insure that the impact on the flora and fauna of our most splendid lands is kept to a minimum. But if the community of users that want to ban another user group from access to these areas cannot answer our repeated requests to work with us under the assumption that all trails should be multi-use, Congress may find a lot of upset mountain bikers knocking on their Capitol Hill doors when this matter comes before them. Is it really necessary? These comments are mine and may not necessarily be shared by any group I represent or work with. Mountain bikes are mechanical off-road vehicles and should be made to share OHV areas, not hiking/equestrian areas. Hikers and equestrians should not have to deal with mountain bikes that are more akin to motorbikes. Will people ever begin to understand this fact? Let the mountain bikers dodge the OHVs, instead. On foot/hoof recreation (hiking/horses) should not have to compete with wheeled recreation: OHVs, ATVs Mountain Bikes, etc. Dryasoctopetala: Sure would be nice to know who you are. Why don’t you post under your real name so we can have a real debate about a real local and statewide issue? There is nothing other than 2 wheels — and far thinner ones at that — between motobikes and mountainbikes. Motos weigh 10 times more than mountainbikes do and are capable of an extreme amount of energy. And to be honest with you, their “rooster-tails” and other skidding through the terrain is unacceptable for the purposes we are discussing here. I am so glad we have the wonderful nature that we do and we need to preserve it so that all user groups will have it available to them for ever. We need rules and policing of those rules where user groups come into contact and above all, we need courtesy. We need to be mindful of and courteous to the other 2 user groups.